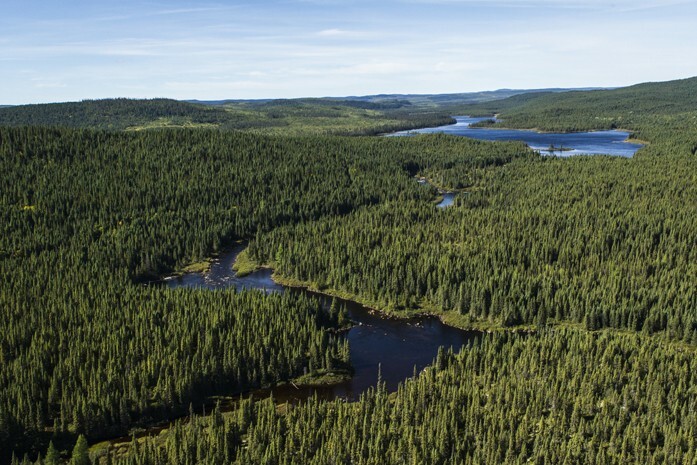 A well-researched piece by Peter Kuitenbrouwer (“Battle for the Boreal”, Financial Post, December 3, 2015) on Resolute confronting challenges in Quebec’s Boreal Forest affirms what our customers, colleagues, and neighbors have long known: Resolute is dedicated to transparency and accountability in all that we do, and will continue to stand on these principles against any who would challenge our commitment to the region and its peoples. Critically, the piece confirms the broad consensus of numerous responsible parties that Canada’s Boreal is healthy and thriving. It also confirms—and even illustrates by map—that every hectare of the forests in which we operate have been certified to one or more independent, internationally recognized standards. Learn more about the health of the Boreal by viewing our whiteboard video. This reality stands in stark contrast to the misinformation campaign being waged by opportunistic activists who, as Kuitenbrouwer makes clear, have earned the suspicion and distrust of communities, forestry workers, First Nations representatives, and local leaders throughout the region. When it comes to responsible forest management in the Boreal Forest, Resolute has consistently called for all interested parties to have a seat at the table. We don’t let hyperbole take the place of dialogue. And when others mislead the public, we stand up and hold them to account. We were pleased as well to see the piece cover Resolute’s fruitful business relationship with one First Nation, the Innu of Mashteuiatsh. But it could have just as easily highlighted our close ties with around 30 First Nations communities we partner with in Ontario and Quebec. Though our company’s ties in the region run deep, as Kuitenbrouwer points out, the “Resolute” name is itself quite young. But it’s a name spoken with pride throughout the Boreal, and we’ll always fight hard to keep it that way.